Wednesday 20th March 2019. The Forgotten Works (Oz Hardwick, Amina Alyal & Karl Baxter) perform Phenomena, an exploration for voices, music and electronics. Fossgate Social, Fossgate, York. 7.30pm-8.30pm. £2.00. Full details here. Sunday 24th March 2019. Writing on Air festival, Chapel FM, Leeds. As part of this four-day celebration of the written and spoken word, Oz will be discussing prose poetry with Hannah Stone at 12.15pm, before joining The Forgotten Works for a performance of Phenomena at 2.00pm. Listen live or later, or perhaps drop in. Full details of the weekend’s programming can be found here. Thursday 4th 2019. Mappish art exhibition and poetry reading with Helen Ivory & Oz Hardwick. Workshop Press (Basement Gallery), 10 Back Newton Grove, off Chapeltown Road, Leeds LS7 4HW. Exhibition by Inside The Map 6.00pm; poetry 6.45pm. Pay as you feel. Tuesday 9th April 2019. Night Vision in aid of Leeds Mind and Yorkshire Cancer Research. Poetry from Oz Hardwick, Gill Lambert and Tom Weir, synthpop from Ladies Nite, and spoken word open mic. 7.00 at Belgrave Music Hall, 1-1a Cross Belgrave Street, Leeds LS2 8JP. For full details, including booking, click here. Saturday 13th April 2019. Hive Young Writers Festival, Sheffield Institute of Education, Charles Street Building, Charles Street, Sheffield S1 2LX. 10.30am-6.30pm. Oz will be a workshop leader and panellist at this event for young and emerging writers aged 14-25. Full details here. Thursday 25th April 2019. Finding the Words, with Victoria Gatehouse, Oz Hardwick, & Tom Weir. 6.45pm-7.45pm at York Explore Library, Library Square, York YO1 7DS. £3.00. Full details here. Tuesday 14th May 2019. Oz is the featured poet at The Gallery Cabaret, 2020 N Oakley, Chicago. 7 PM to 9PM. West Country dates in July/August currently being finalised. Wednesday 17th September 2014. 7.30, at HEART, Bennett Road, Headingley, Leeds LS6 3HN. Plus open mic on the theme of ‘The Past’ – £4/£2 concessions. Monday 6th October, 7.30, 2014. at The Georgian Theatre Royal, Victoria Road, Richmond, N. Yorkshire DL10 4DW. Plus open mic. Tuesday 11th November, 2014. The Ringmaster’s Apprentice book launch, 8.00, at City Screen, 13-17 Coney Street, York YO1 9QL. With support from Root 64, Sankakei & Daniela Nunnari. £4. Wednesday 12th November, 2014, reading with Miles Salter at Leeds Trinity University, 1.05. Free. Wednesday 19th November, 2014. Root 64 will be playing at Spokes at The Golden Ball, Cromwell Road, York YO1 6DU, along with A.B. 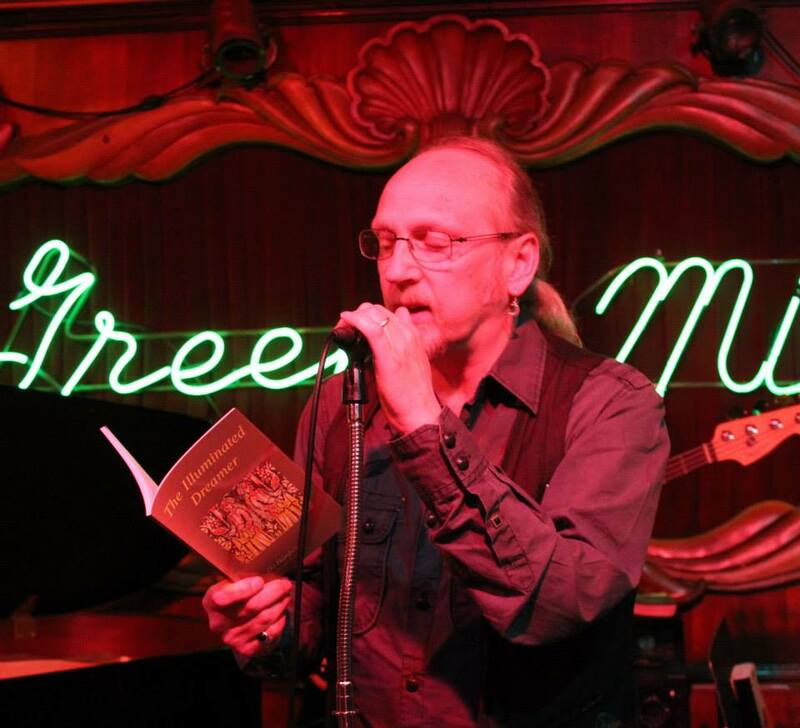 Johnson, Christopher Nosnibor, Becky Cherriman, & Dai Parsons, and Route 64 – in a five act carnival of fiction, poetry, music, raffle prizes, and gin. 8.00 start. Tuesday 9th December, 2014. The Leeds Lock-in, 8.30, at The Wharf Chambers, 23-25 Wharf Street, Leeds LS2 7EQ. With all manner of diverse entertainments. I think it’s £3. Wednesday 10th December, 2014. Speakers’ Corner, at The Golden Ball, 2 Cromwell Road, Bishophill, York YO1 6DU. Plus open mic. Doors open at 7.30 pm and admission is just £1. Saturday 24th January 2015, Black Light Engine Room, at Toft House, The Avenue, Middlesbrough TS5 6SA. Reading with Selkirk Ayres, Michael Brown & Lisa Matthews. 7.00: £3. Saturday 21st February 2015, Independent Publishing Festival, Leeds. Details here. Wednesday 25th February,2015. Indigo Dreams Publishing Presents: Launch of Close as Second Skins and An After-Dinner’s Sleep, plus The Upside-Down House – Oz Hardwick, Amina Alyal, Gill Lambert, Maria Preston, Hannah Stone & Joanna Ezekiel, at Medusa Bar, Town Street, Horsforth LS18 5JD. 8.00, free admission. Monday 2nd March, 2015. 7.30, at The Georgian Theatre Royal, Victoria Road, Richmond, N. Yorkshire DL10 4DW. Plus open mic. Wednesday 18th March 2015, Spokes, at The Golden Ball, 2 Cromwell Road, Bishophill, York YO1 6DU. Reading with Dai Parsons, Joanna Ezekiel, and others. 8.00, free admission. Wednesday 25th March 2015. Leeds Trinity University Writers’ Festival. Details here. Wednesday 1st April, 2015. York Writers, at Brigantes, Micklegate, York. 8.00. Friday 24th April, 2015. Indigo Dreams Publishing Presents: York launch of Close as Second Skins and An After-Dinner’s Sleep – Oz Hardwick, Amina Alyal, Gill Lambert, Maria Preston & Hannah Stone, at The Hungry Artist, 7 Church Street, York YO1 8BG, 7.00. Free admission. Thursday 30th April, 2015. Bojangles Bar, Newmarket Street, Skipton, with Amina Alyal, Gill Lambert, Maria Preston, Hannah Stone & Dai Parsons. 7.30, free admission. Wednesday 13th May 2015, The Gallery Cabaret, 2020 N Oakley Avenue, Chicago IL, With C Ra McGuirt & open mic. 7.00. Bernhard 213. Launch of New Crops from Old Fields: Eight Medievalist Poets, plus open spots. Wednesday 20th May 2015, In One Ear at The Heartland Cafe, 7000 N Glenwood Ave, Chicago IL. Plus open mic. 10.00, $3. Saturday 6th June. Leeds Bilingual Day. Details here. Saturday 19th September 2015, On an Eastern Breeze, performed with Sankakei. 7.15 in the Chantry Chapel of St Mary the Virgin, Chantry Bridge Industrial Estate, Wakefield WF1 5DJ. Free admission. Part of the Wakefield Literature Festival. Friday 25th September 2015, Word Club, 7.30 at The Chemic Tavern, 9 Johnston Street, Woodhouse, Leeds LS6 2NG. Plus open mic. Free. Tuesday 17th November 2015, Spoken Word Shindig, 8.00 at Nelsons Wine Bar, Crown Street, Hebden Bridge. Plus open mic. Saturday 4th June 2016, Tales from the Forest of Leeds, The Carriageworks, Leeds. 5.45. Launch of Dan Ingram-Brown’s magical book, with readings by contributors. Saturday 11th June 2016, The Black Swan, Peaseholme Green, York. 6.00. Premiere of The House of Memory, performed by Benjamin Lindley and Adam Parrish. £5. Friday 24th June 2016, The Fulford Arms, York. 8.00, supporting Do Not Panic. Oz will also be reading with the band. Saturday 2nd July 2016, Poetry at the Parsonage, Haworth, North Yorkshire. 3.40 on Charlotte’s Stage. Wednesday 8th February, The Speakers’ Corner, The Golden Ball, 2 Cromwell Road, York. 7.30. With Becky Cherriman & open mic. £2.00. Wednesday 22nd March 2017. Launch of Inspiring Futures, ed. Oz Hardwick (Wordspace/Indigo Dreams), with readings by contributors. The Atrium, Leeds Trinity University, Brownberrie Lane, Horsforth, Leeds LS18 5HD. 5.30-7.00pm. Free. Thursday 23rd March 2017, Finding the Words, York Explore Library. 7.00. With Becky Cherriman and Lydia Kennaway. £3.00 (£2.00 with York Card). Full details here. Sunday 2nd April 2017, A Turn of the Cards, 12.30-1.30pm. Experimental performance with John Tuffen. Part of Chapel FM’s Writing on Air festival, broadcast live and available on Listen Again. Free. For the full weekend programme, follow this link. Friday 21st April 2017. A Bee’s Breakfast anthology launch, with Rebecca Bilkau, Amina Alyal, Hannah Stone and others. The Black Swan Inn, Peasholme Green, York YO1 7PR. 7.00pm. Free admission. Sunday 23rd April 2017, World Book Night, 6.00-9.00pm. Inkwell Arts, 31 Potternewton Lane, Leeds LS7 3LW. With Andy Carrington, Mick McCann, Oz Hardwick, Matthew Hedley Stoppard, Tom Weir and Tony Martin Woods. Free. Full details here. Wednesday 10th May 2017, In One Ear, 10.00pm. Heartland Café, 7000 N. Glenwood, Chicago, IL 60626. Plus open mic (sign-up from 9.00pm). $3. Thursday 17th May 2017, 7.00pm. Guest at launch of Mark Connors’ new collection, Nothing is Meant to be Broken, at The Duke of York, 3-4 King’s Square, York YO1. Plus Andy Humphrey, Gill Lambert, & open mic. Details here. Sunday 20th May 2017, 6.00pm. Bilingual Event at Leeds Trinity University, Brownberrie Lane, Leeds LS18 5HD. Appearing with Valerie Harkness, Amina Alyal, Bob Beagrie, Nathalie Henry, and music by Reno Bistan. Details here. Tuesday 1st August 2017. Launch event for The Valley Press Anthology of Yorkshire Poetry, ed. Miles Salter & Oz Hardwick. 8.00pm, The Basement, City Screen, 13-17 Coney Street, York YO1 9QL. Poetry & music. £4.00. Launch of Amina Alyal’s new collection, Season of Myths, at The Eagle and Child, 9 High Petergate, York YO1 7EN. Free. Thursday 22nd September 2017. Launch of The House of Ghosts and Mirrors. 1.00pm. Leeds Trinity University, Brownberrie Lane, Leeds LS18 5HD (room AF20). Free. 6th-8th October 2017. Reading from The House of Ghosts and Mirrors and speaking on ‘The Medieval Fox and Some of His Descendants’. Poetry on the Lake, Orta San Giulio, Italy. The programme, featuring a dizzying array of poets from around the world, may be found here. Friday 27th October 2017. Word Club at The Chemic Tavern, 9 Johnston Street, Woodhouse, Leeds LS6 2NG. 7.30. Saturday 28th October 2017. Jackanory at A14 Westgate Studios, 55 Westgate, Wakefield WF1 1BU. 2.00-4.00. With Ian Whiteley, Helen Wilkinson, & open mic. (& comfy sofas!). Free. Thursday 2nd November 2017. Spoken Weird, The Victorian Craft Beer Café, 18-22 Powell Street, Halifax HX1 1LN. 8.00 – free. Thursday 9th November 2017. Shaken in Sheep Town. 7.30, Bojangles Bar, Newmarket Street, Skipton BD23 2HR. With Hannah Stone and Char March. Friday 10th November 2017. Reading from The House of Ghosts and Mirrors. The Regatta Room, The Park Hotel, North Street, York. 6.00 – free. This is part of the NAWE Anniversary Celebrations, but is open to the public. Saturday 18th November 2017. Reading at Wendy Pratt’s launch of Gifts the Mole Gave Me, along with Caroline Hardacre. The Library Room, Woodend, The Crescent, Scarborough YO11 2PW. 1.00 – free. Saturday 3rd February 2018, Black Light Engine Room. 7.00, The Studio, Toft House, Middlesbrough. With Jess Mookherjee and open mic. £4.00. Full details here. Tuesday 20th March 2018, Portmanteau. Launch of anthology edited by Esther Dreher, Ethan Lowe & Oz Hardwick. 7.45, The Keregan Room, York Theatre Royal. Free. A York Literature Festival HUB event. Friday 6th April 2018. York Poetry Society. 7.30 at Jacob’s Well, Trinity Lane, York YO1 6EL. Friday 30th March 2018. Hawkeaster at The Alhambra, Morecambe. Oz will be reading a few poems between the bands on the first night of this Hawkwind extravaganza. There will also be an exhibition of his photographs in the venue throughout the weekend. Wednesday 21st March 2018. Poems, Prose & Pints. 7.30, North Bar, 2d Cheltenham Parade, Harrogate HG1 1DS. Pay what you like. Monday 26th March 2018. Living with Ghosts. With Amina Alyal, featuring new piece, ‘Living with Ghosts’ for voices, music and effects, with Karl Baxter. 5.00, The Keregan Room, York Theatre Royal. Free. A York Literature Festival HUB event. Friday 1st & Saturday 2nd June 2018. Writers Ink, Braunschweig. At 7.00pm on Friday 1st, Oz will be presenting the poetry award for this year’s Daniil Pashkoff Prize at the Altstadtrathaus, and he will lead a creative writing workshop entitled ‘Looking in the Owl Glass’ in the Wilhelm Raabe Museum at 2.00pm. Wednesday 13th June 2018. Oz will be reading with Wendy Pratt at the final Speakers’ Corner, at The Golden Ball, 2 Cromwell Road, Bishophill, York YO1 6DU. Plus open mic. Doors open at 7.30 pm and admission is just £1. Thursday 12th July 2018. Oz Hardwick, Hannah Stone and Ann Gibson at Tadcaster Library, 8 Station Road, Tadcaster LS24 9JG. 7.30pm. Details here. Thursday 16th August 2018. Supporting the launch of Tom Dixon’s debut novella, On Suicide Bridge (Stairwell, 2018), at True Story, 18 Lord Mayors Walk, York YO31 7HA. 7.30pm. Free. Details here. 13-17 September 2018. Poetry on the Move: Inhabiting Language at the Centre for Creative and Cultural Research, University of Canberra. Oz is an International Poet in Residence, and will be leading and participating in a number of events throughout the festival, including the launch of his new chapbook, Learning to have lost (IPSI, 2018). For full details and programme of events, see here. Friday 21st September 2018. Learning to have lost Leeds Launch. 12.00 noon at Leeds Trinity University, Brownberrie Lane, Horsforth, Leeds LS18 5HD. Free. Thursday 4th October 2018. National Poetry Day readings with Oz Hardwick, Miles Salter, Antony Dunn, Wendy Pratt and Carole Bromley. Limited open mic slots. 7.30 at True Story, 18 Lord Mayors Walk, York YO31 7HA. £4.00. Wednesday 17th October 2018. Learning to have lost York launch. With guests Edwin Stockdale and Amina Alyal. 7.30 upstairs at The Eagle and Child, 9 High Petergate, York YO1 7EN. Free admission. Wednesday 24th October 2018. Supporting reading at the launch of Jane Browe’s YA novel Hannah and the Hollow Tree (Peahen, 2018), along with Amina Alyal, Jade Cuttle, and Maria Stephenson. 7.30 at Mill Kitchen, Sunnybank Mills, Paradise Street, Farsley, Leeds LS28 5 UJ. Sunday 18th November 2018. Oz Hardwick & Andy Armitage, plus open mic at the monthly Runcible Spoon. 4.00-6.00 at The Miners’ Arms, Morley, Leeds 2018. Friday 30th November. Word Club with Oz Hardwick, along with the launch of Rommi Smith’s Writing Workshop’s anthology, Check Hope Remains, plus open mic. 7.30 at The Chemic Tavern, 9 Johnston Street, Woodhouse, Leeds LS6 2NG. Free. Sunday 27th January 2019. Oz will be one of the readers marking the change in editorship of Dream Catcher at According to McGee Gallery, 8 Tower Street, York YO1 9SA. Starts 2.00pm. Wednesday 30th January 2019. Oz will be compering and reading a few poems at the launch of Joe Williams’ new book, An Otley Run. Readings also by Char March and Joanna Ezekiel. 7.30 upstairs at The Eagle and Child, 9 High Petergate, York YO1 7EN. Free admission.